So, what’s the resolution? Come on, resolutions are the essential part and parcels of New Years. Be it, Poila Boishakh or the English New Year! We eventually forget it as the new year gets older, that’s a completely different thing!!! But this is true that New Year brings new opportunities. And the beginning of the year motivates action, and that’s an opportunity! Poila Boisakh is incomplete without the big fat lunch at home with family and friends. This year too, invited few friends to come over my place for lunch followed by “ghoroya adda”. 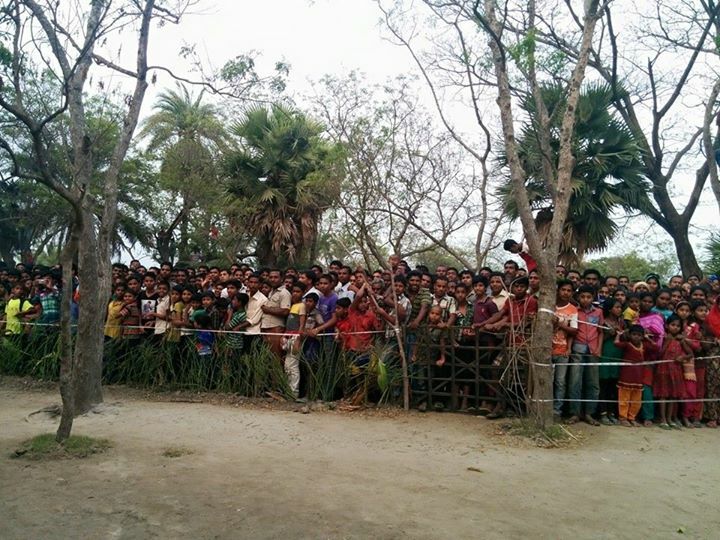 This “ghoroya adda” has a special charm which you cannot get partying in big 5star hotels! You don’t have to be conscious what are you wearing, how are you talking, how are you eating, how loudly you are laughing. This is the most refreshing one! And in all these, missed Mishuk so much! He loves Bengali cuisine. Whenever he comes at home, he asks to have signature dishes of every Bengali household like- Luchi, payesh, machher jhol etc. While we had all those yesterday, he came to my mind for several times! Saying this, I just remembered the most notable work of Bharatchandra Ray, “Annada Mangal” where Devi Annapurna has been praised. No other poet ever ventured to praise this avatar of Devi Parvati who is here present just like the contemporary Bengali mothers we come across every day. There in a poem, Devi Annapurna asks Iswari Patni to help her to cross the river. Ishwari was not aware of the true identity of Devi. After crossing the road, Devi was pleased and ready to fulfill his any desire. Ishwari wished the eternal thing a father can ask for, “Amar sontan jeno thake dudhe-bhate”. What an ultimate wish! What else can a father ask for? Moving on, Poila Boisakh spent very well with all my family and friends! Today I am setting out with new enthusiasm and new goals for myself. Though the shoot is off today, but have long series of meetings. Tomorrow is going to be a long day for me. Take care all. Love you! 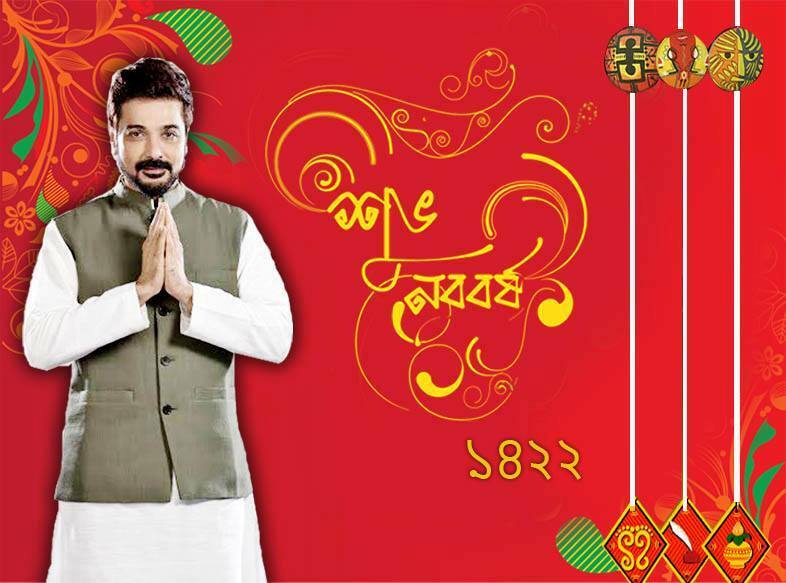 And again, Subho Noboborsho to all of you! This is we. We construct, deconstruct and then again start a new. It takes several years, months and days to construct something. And a few moments to lose it, ruin it, forget it all together. Then again, we need to get up, prepare ourselves for the next innings. It took months long preparation to become ‘Badal’, the character I’m playing in ‘Shankhachil’. The hours spent reading the script for several times, rehearsing the scenes, and other preparations which included a huge weight loss in few months. Getting into the skin of the character was quite a tough task. Though, I relied on Goutam da that he will surely bring out the best from me. Shooting started in Taki. The Rajbari where we shot has a strange kind of melancholy which constantly reminded us of the terrible scar which often bleeds silently, which we all are trying to soothe for several years. The shooting went well. Came back home. And yes, it’s time for my next movie with Kamaleshwar Mukherjee. Kamal is no doubt, a marvelous director. The first time I heard the story, I was quite convinced that I’m going to do this film. Though the title of the film has not been decided yet, the preparations have already been started. The talents like Raima, Paoli, Tridha are there. Well, I can’t reveal much about it as the film is just in its premature state. What I can share, just like my other films, I started to prepare myself for yet another story, another character and another journey. New challenges excite me and as always looking forward to this journey as well. Need all your good wishes. Love you all! After a long hectic schedule finally the shoot is over. Personally I always feel sad on the last day of shoot. After months of preparation, forming a different character, when suddenly it’s over and you know you have to get into another character with which you were attached so much. 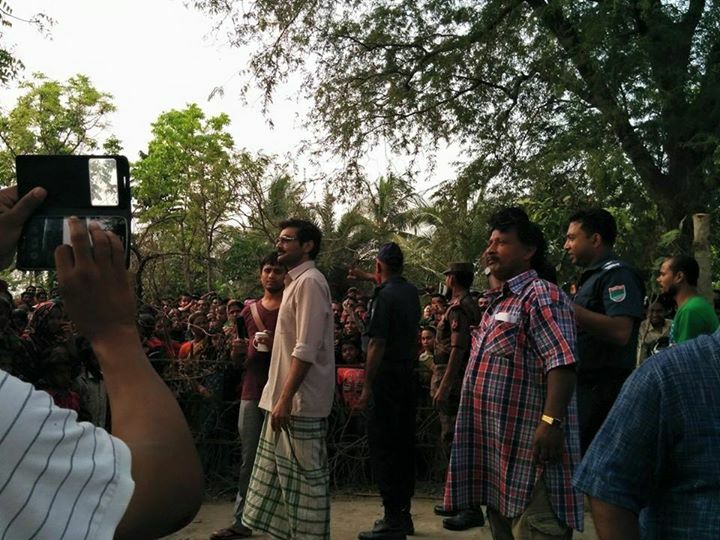 My shooting’s last schedule was in Bangladesh. My Bangladesh travel was in car and I was really excited. People think that its two different place but trust me or rather I can vouch my life on this, there is no difference at all. Be it language, food culture, clothes, traditions, belief it’s all the same. It’s we who separate our self and not any one. I have always believed in that we are same and after shooting for Shankhochil my belief now is stronger than before. I never missed my home because of the fact it was, is and always will be my 2nd home. 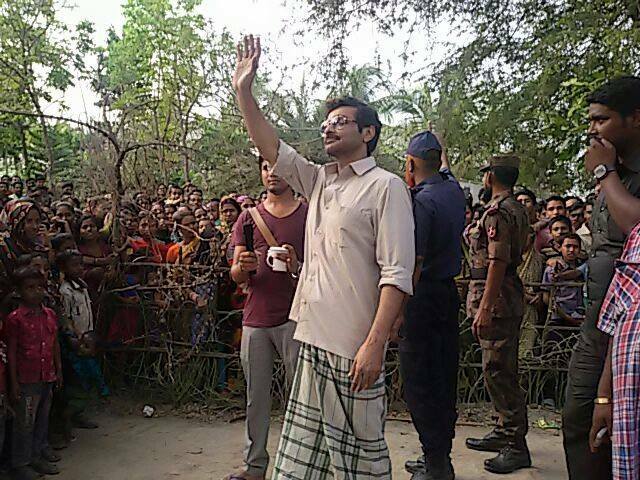 During the shoot the love I got from the people there was something I am great full for and will cherish live long. 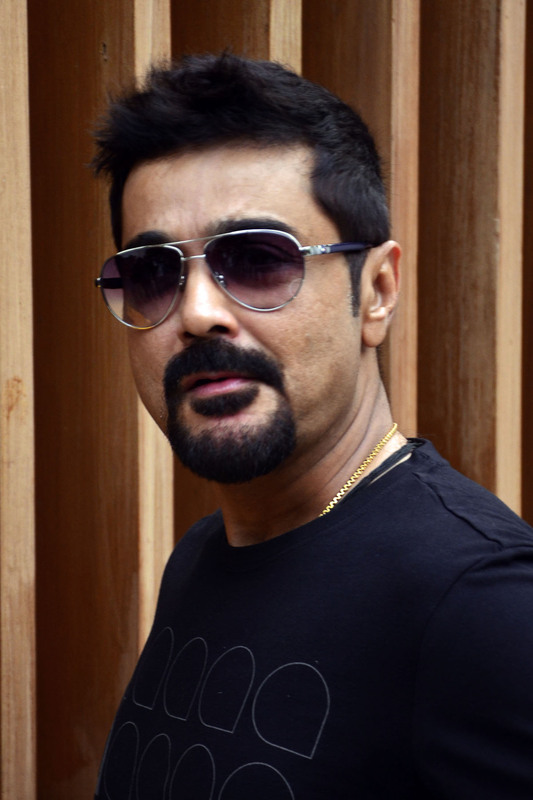 I still remember before my scene an old lady cried out loud saying ‘ ema prosenjit er ki sorir kharap, isss ki roga hoye gache. Mone hoy sugar hoeche’ I never felt so encouraged. It made me happy in the way that I am capable of getting into the character. The enthusiasm among the crowd, never made me tied and I felt still the 22 years old guy shooting for his film. Shooting with the famous director Gautam da have always been privileged to me and this second joint venture of indo Bangladesh is just a way to let people know. I personally believe we are no difference. In fact I think with this venture its opening up new talent. It’s just one step from my side to unite us and of course without support from you all is impossible. I believe it’s the time as a whole the film industries are uniting themselves be it in Bollywood or Hollywood. As in Bollywood actor like Fawad Khan, Hollywood our very Aishwariya, Anupam Kher, Irfan Khan etc. Now a days borders can’t divide ourselves so why should Tollywood stand behind and watch. It’s just a step and a hand of friendship.